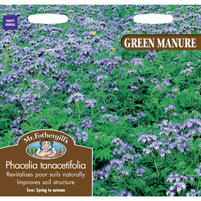 Green manures provide a convenient way to add nutrients and organic matter to the soil during the growing season. They can crowd out weeds and protect soil from the leaching effects of winter rain. The range now consists of 6 varieties to cover most needs including spring sowing, nitrogen fixing and over wintering.